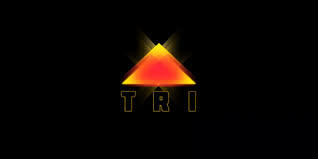 Originally developed for Ludum Dare 20 (which is a 48 hour games jam) by RatKing Entertainment and now developed into a full game, TRI is an exploration puzzle game that features a fantastic atmosphere and that allows the player to solve riddles in their own time. Placing you into a world of gods, you are tasked with finding “The Fox” by his old friend “The Monk”. To do this, you need to collect three fox statues in each level, which then takes you to the next one. These fox statues are hidden around, in often hard to reach places, and the puzzles involved in getting them are simply that. Figuring out how to reach them. The main mechanic that is involved in this exploration is the drawing of triangles. By finding an item called “The Tri”, you are given the ability to create triangles out of light, simply by drawing a triangle on their screen, which the nameless main character can walk on. These triangles, and figuring out where they go is the main part of the puzzle solving in the game, and feels incredibly rewarding when done correctly. Later on in the game, you also gain the ability to walk on triangles at not normal angles, allowing you to walk up walls. This adds a verticality to the puzzles that opens up a whole new dimension of thinking, and again is a lot of fun to experience. You also learn to redirect light and teleport further into the game, but having not experienced that myself yet, I don’t feel I can comment on it properly. Due to the nature of these puzzles, TRI is very relaxing, and incredibly slow. Featuring an atmospheric soundtrack by Ludwig Hanisch, and a lovely stylised art scheme, the game feels pleasant to experience, and never feels stressful like the majority of fast paced puzzle games. TRI has a lot of unlockables in it, too. Golden Idols are hidden around each level, and by finding these you unlock bonus content like concept art and director commentary. This provides more for the player to look for after completing the game, and is always interesting to take a look at. I recommend playing TRI if you’re a fan of puzzle games, but get thrown off when they are timed or overly stressful. TRI balances the challenges of solving a puzzle well with the relaxation of simple exploration. It can be picked up on Steam here!